Don't let a little thing like being at work get in the way of following your favorite sporting events and athletes at the Winter Olympics. From streaming video to event explanations to ski slope imagery courtesy of Google, these five handy sites will help you follow all the action. 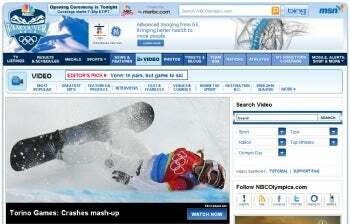 Useful for: Video highlights/live streaming coverage of the Games. If you're in the United States, this is the only place you'll (legally) get it. What it is: NBC has exclusive U.S. broadcast rights to the Olympics, but here's the rub: For live coverage, you must be a subscriber to a cable, satellite, or IPTV provider. Otherwise you'll only be able to access event recaps and highlights, athlete biographies, interviews, news, and other short clips. NBC is still partnered with MSN and Microsoft's Silverlight, so you'll need to have Silverlight 3 (along with the latest version of Adobe Flash Player) installed in order to view any video content on the NBC site. Don't worry, though — it's a quick and painless download. If, for some reason, NBC doesn't work out for you, you can check out our article on how to stream the Olympics from anywhere (including outside the United States). Why you should check it out: As the exclusive broadcaster of the Olympic Games, it's the only site that will have easily accessible, high-quality streaming content. Also, for those of you following the games at work, it even features a "BOSS" button that brings up a Windows desktop (complete with spreadsheet), so you can stream under the radar. 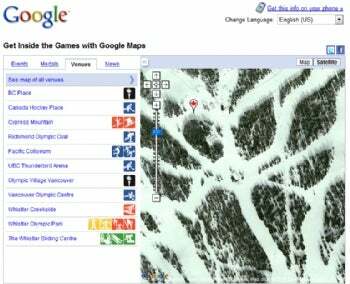 Google Maps' "Inside the Games"
Useful for: Visuals — maps and pictures of the event venues, official courses, and slopes. What it is: Those of you who followed the 2008 Beijing Summer Olympic games might remember Google's nifty little "Inside the Games" site, which was powered by Google Maps and featured stadium locations and pictures — a neat way to bring people closer to the games. Google has one-upped itself with the 2010 Winter Olympic Games' "Inside the Games" site, bringing Google Street Views into the mix. Now, in addition to venue and event locations, you can also see the ski slopes, bobsleigh courses, and luge courses in Google Street Views. 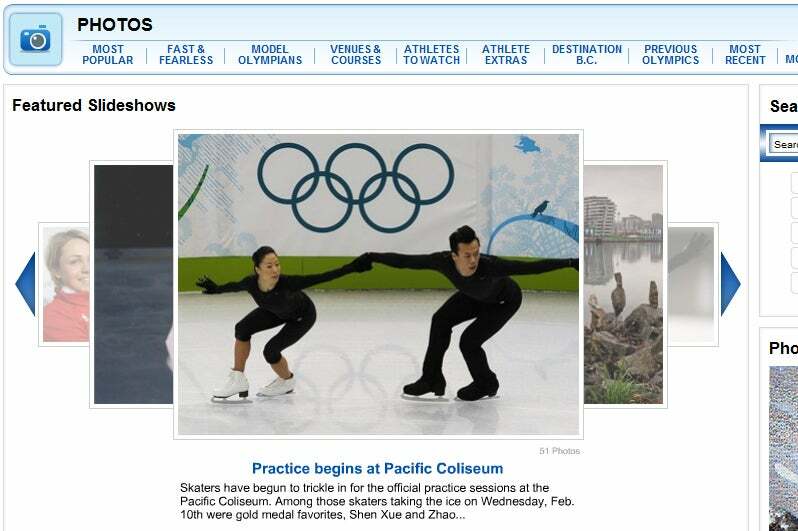 Google's site also features a simple event schedule, medals chart, and news feed for the Olympics. Why you should check it out: The Google Street views will make you feel like you're practically at the games themselves. Also, the simplicity of the event schedule and medals chart is great for people who are looking for the straight facts — and a welcome change from ad-ridden sites like NBC.